Please leave your feedback on SPG Rebalance for Public Test 1.5, and remember to remain on-topic and constructive. Please make it MAX 2 arty per team. So i think 3 artys is good for the mm, some time you will play without artys which is good. I don't really notice any differences with stunning as most of the time they hit you one by one with 20 o 30 seconds in between, and if one has to hit you while you are already stunned, he can just wait few seconds to have another 15-25 seconds of stun. 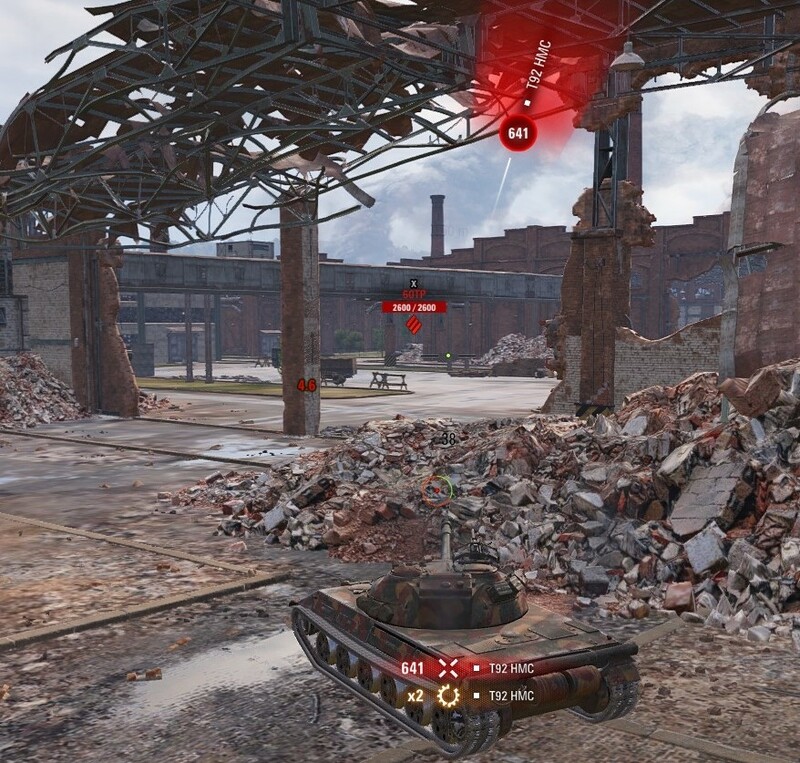 To improve it, just reduce the stun altogether, not only if the 2nd arty's hit land on you or near, the first shoot shouldn't have more than 10 seconds of stun. Yes, it needs to be more. The arty missions were so easy anyway I don't think the minor changes they are making will warrant changing them. * Values with standard equipment and ammunition and BIA perk. Without consumable boost. Autoloader arty would need to have it's autoloader reload increased to at least 70 seconds and 20-25 seconds between the shells. 261 shouldn't reload less than 40 seconds and neither should GWE100/CGC. Besides the Bat 158 all other arties have too high explosion radius which glitches through buildings / hills / rocks and still does damage and stun. Often not allowing safe positions besides few dense urban areas. Buffed accuracy, aim time and reload combined with high radius lead to annoying spam mechanic. Which leads to both teams trying to wait for the opposing team to make the ''mistake'' of attacking. Why buff accuracy and aim time AND give them high explosion radius in the first place? It shouldn't have all 3 qualities.  SPG players also use XVM to target certain players, just take a look at streamers/youtubers that still play your game. T92, CGC and GWE100 still hit for 400-600 damage even to high armor tanks like the Maus and Jpe100. Shouldn't be a thing after stun was introduced since you wanted arty to have a support role and not be the damage dealer, they still are. Quick fix should be limiting them to 1 per team in randoms or an even better solution is refund XP and Credits and just delete the damn things. Edited by SMR_FV, 12 April 2019 - 10:59 AM. Most changes seem reasonable, though I have a few points I would like to make. - Stunning instead of damage dealing still seems the best change that has been made to arty. The proposed changes to stun duration and mechanics are reasonable imo. However, due to the constraints of playability of arty on maps sized 1 by 1 km (or less!!!!) in WOT the way arty is working is not very realistic. Being needed to countermand campers and keep the gameplay active is a function of arty I fully agree with. The way it works in the game is not very satisfactory. In real life arty would fire upon target areas at a considerable distance (10-15 km), causing the gun arc to be way steeper than it is in game. Having a 155 mm shell hit a tank on the roof would surely result in a penetrating shot and devastating results to tank and crew, in WOT however the gun arc is very shallow, causing direct hits on the top of tanks to do way less damage than it should. Only on targets like Scorpion G or Rheinmetal Börsig WT do you achieve the top end damage of a shell. 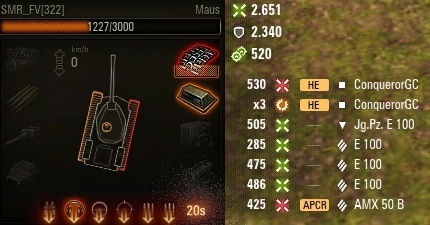 If damage done by a HE shell when hitting the roof of a tank would be higher as it is now, the need for AP munitions would be gone. - Having the amount of damage fall off at the edges of the splash area seems completely logical to me. But splash area radii of only 8-12 m is just bonkers. The effective area of a 155 mm shell is roughly 150 m for soft targets and maybe 50 m or less (depending on armour) for hard targets. I would, therefore, like to see the splash radius of arty shells enlarged, damage and stun appropriately adjusted and distance-dependent. In combination with that, the accuracy needs to be diminished and the fall of shells within a larger target area more homogenously spread. At the moment it is still more than likely you will hit a tank when fully aimed. In reality, a shell falling within 50 m of the targeted coördinates would be considered very good. This would be especially true in olden days and even up until the eighties and nineties. Modern artillery systems, like the Pz2000, are capable of even very much higher accuracy and are able to fire a spread hitting a specified area with one canon, as opposed to using one (or more) battery of 6 canons like the M109. - 2 arties per side seems preferable and we should just try it out on the live server (without prior warning) to see if it really leads to two arties every game. No, I'm a arty player, and this is not true ( T92, CGC and GWE100 still hit for 400-600 damage even to high armor tanks like the Maus and Jpe100.) your words. T92 hits TOP 400, and in the statistics it says max damage 1300! Never hits for that much. But TD does and why aren't people talking about that? This is not good , it's like arty doesn't exist. This is a catastrophe for us arty players. And take into consideration arty's health and reload time, we can almost get one shot by light tanks. And even if we still could one shot it would be every 40 seconds. This is a sad day for us who liked arty from the beginning. That stun they put in, is not good and they also nerfed damage If they could bring back one shot or even close to one shot and remove the stun we would be happy and it would be balanced. Thank you . Edited by Wickedfinger, 12 April 2019 - 01:38 PM. NOTE: CGC ONLY DID 294 DAMAGE BECAUSE THAT'S ALL I HAD LEFT. and that happens every 27 or 32 or 40 seconds. Tell me more how it's not doing damage.Is it better than 800 per shot or getting 1 shot? Yes. Is it still too much and negatively impacts gameplay? YES!! Doesn't do damage right? That's more than half of M48's HP. 20 seconds stun and GW reloads in 31 seconds and will do another 400-500 or 600. T92 will reload in 41 seconds. Damaged engine. Since buffed accuracy and aim time they dont miss either and even if they do they still do pretty high damage due to high radius, that's without them using premium ammo either. Edited by SMR_FV, 12 April 2019 - 02:59 PM. 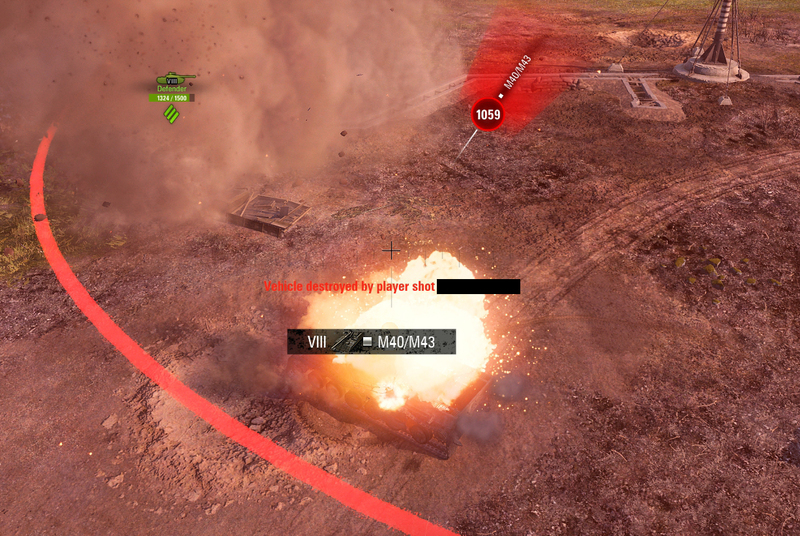 Doesn't hit a maus for 500? You sure about that? Every 30 something seconds! Edited by SMR_FV, 12 April 2019 - 02:52 PM. Yup, "never hits for high damage" btw. I have a full album of these kind of hits, not even a pen. The whole new stun concept is just stupid. Now, when you remove stun with a first aid kit you may end up getting stunned even longer than when you hadn't used it. And some SPG still have enough stun duration to keep a single tank almost in perma stun. MY M55 play okay ish not as much damage / stun but okay ish. Wargamming just stop with all this messing about. You are never going to fix this. Offer the silver costs back and give back exp that was used to research arty as free exp. Less arty in the game/matchmaker. less in matches so less moaning. so less of problem. Offer a Block arty option as was April fool joked by Dezgamez. Why not??? ehh lots of folks were well up for it. About 2 months ago while playing Frontline with my Spaghetto. I'm sorry, but I can't really say that I like these changes. This is pretty much a direct nerf without any compensational buff. I understand, the stun is annoying, but that's an even bigger reason to remove the stun itself instead of nerfing the tanks. If you keep nerfing this class, people will eventually stop playing it, and then you might just remove the class already to save your time of all the tweaking work. Please WG, listen to the advice that players have given you for so long, limit artillery to 1 per team and undo these changes. "No, we won’t reduce the number of SPGs per battle. Statistically, 10% of battles are played without arty at all, around 30% have one SPG, another 30% with two SPGs, and another 30%– with three SPGs. Let’s say we limit SPGs to two per battle, then there will be zero battles with no arty, around 10% with one artillery and the rest with two artillery. It would be worse than what we have right now: an average of less than 2 artillery per battle." But, you picked the limit of 2, which indeed makes it worse. 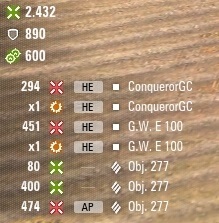 If you limit artillery to 1 per team, then it will not be worse. Right now, according to you, we have 10% battles without any artillery at all. That means we also have 90% of battles with 1 artillery or more, and, we have 60% of battles with 2 artillery or more. Those 10% happens so rarely that people will hardly see any difference, while those 60% will happen 6 times more frequently, which is a lot worse. Then it's also the aspect that playing against 1 artillery is actually manageble, since it's only 1. Now add 2 additional artilleries on that and it becomes a lot more unmanageble. Although, I need to say, it's good that you gave the Obj.261 two more shells. Edited by KanonenVogel19, 13 April 2019 - 01:22 PM.